Snoop Dogg (aka Young Eggs) and Action Bronson want you to get away from their grill. 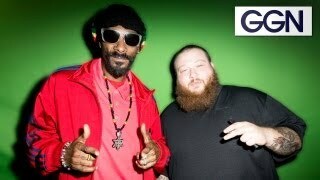 Action Bronson & Snoop Dogg Talk Rap, Food, & More on GGN. Snoop Dogg (aka Young Eggs) and Action Bronson want you to get away from their grill.